Reggie Jackson (1966) won three World Series titles with the A's and was elected to the Baseball Hall of Fame in 1993. The Oakland Athletics (the A's) are a Major League Baseball (MLB) franchise based in Oakland, California. They play in the American League West division. The Athletics had played in Philadelphia from 1901 to 1954 and then Kansas City from 1955 to 1967 before moving to Oakland. Since the establishment of the Rule 4 Draft the Athletics have selected 77 players in the first round. Officially known as the "First-Year Player Draft", the Rule 4 Draft is MLB's primary mechanism for assigning players from high schools, colleges, and other amateur clubs to its franchises. The draft order is determined based on the previous season's standings, with the team possessing the worst record receiving the first pick. In addition, teams which lost free agents in the previous off-season may be awarded compensatory or supplementary picks. Of these 77 players, 36 have been pitchers, the most of any position; 27 of these were right-handed, while 9 were left-handed. Thirteen outfielders, including one center fielder, and 12 shortstops were selected. The A's have also drafted six catchers, five third basemen, four first basemen, and one second baseman in the first round. Additionally, 23 players came from high schools or universities in the A's home state of California, followed by 10 from Texas and 9 from Florida. They also drafted Ariel Prieto in 1995, who had defected from Cuba the year before. Prieto made his major league debut in 1995, one of 20 players in draft history to go directly to the majors without playing in the minor leagues. Three Athletics' first-round picks have won championships with the franchise. Reggie Jackson (1966) won World Series titles with the team in 1972, 1973, and 1974. Mark McGwire (1984) and Walt Weiss (1985) won with the 1989 championship team. Four A's first-round picks have gone on to win the Rookie of the Year Award: McGwire in 1987, Weiss in 1988, Ben Grieve (1994) in 1998, and Huston Street (2004) in 2005. Jackson also won a Most Valuable Player award in 1973, and Barry Zito (1999) won a Cy Young Award in 2002, making them the A's only picks to win these awards. Reggie Jackson, elected in 1993, is their only pick in the Baseball Hall of Fame. Although eligible McGwire has not been elected despite over 500 career home runs and briefly holding the single-season home run record (70). Some see McGwire's exclusion as a sign that the Hall is hesitant to elect players suspected of using performance-enhancing drugs as McGwire was suspected of steroid use (he later admitted his use in 2010). The Athletics have made eighteen selections in the supplemental round of the draft and have made the first overall selection once: in the first draft in 1965. The Athletics have failed to sign three first-round draft picks, although they did not receive a compensation pick for any of them. The first such player not signed was Pete Broberg in 1968. The A's also failed to sign both of their draft picks in 1979, Juan Bustabad and Mike Stenhouse. The Athletics have had ten compensatory picks overall since the first draft in 1965. These additional picks are provided when a team loses a particularly valuable free agent in the previous off-season,[V] or, more recently, if a team fails to sign a draft pick from the previous year. Year Each year links to an article about that year's Major League Baseball Draft. John Wasdin (1993) is one of six players taken by the A's from the state of Florida. Eric Chavez (1996) won six Rawlings Gold Glove Awards while with Oakland. Barry Zito (1999) won a Cy Young Award while with the Athletics in 2002. Huston Street (2004) is one of four Athletics' first-round draft picks to win the Rookie of the Year Award. 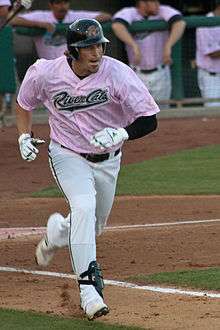 Travis Buck (2005) is the third player the Athletics have drafted in the first round from Arizona State University, the first since they did so back-to-back in the first two years of the draft. V Free agents are evaluated by the Elias Sports Bureau and rated "Type A", "Type B", or not compensation-eligible. If a team offers arbitration to a player but that player refuses and subsequently signs with another team, the original team may receive additional draft picks. If a "Type A" free agent leaves in this way his previous team receives a supplemental pick and a compensation pick from the team with which he signs. If a "Type B" free agent leaves in this way his previous team receives only a supplemental pick. a The Athletics gained a compensatory first-round pick in 1978 from the Texas Rangers as compensation for losing free agent Mike Jorgensen. b The Athletics gained a compensatory first-round pick in 1979 from the Boston Red Sox as compensation for losing free agent Steve Renko. c The Athletics lost their first-round pick in 1982 to the Boston Red Sox as compensation for signing free agent Joe Rudi. d The Athletics lost their first-round pick in 1989 to the Seattle Mariners as compensation for signing free agent Mike Moore. e The Athletics gained a compensatory first-round pick in 1990 from the Milwaukee Brewers as compensation for losing free agent Dave Parker. f The Athletics gained a supplemental first-round pick in 1990 for losing free agent Storm Davis. g The Athletics gained a supplemental first-round pick in 1990 for losing free agent Dave Parker. h The Athletics gained a supplemental first-round pick in 1991 for losing free agent Willie McGee. i The Athletics gained a supplemental first-round pick in 1993 for losing free agent Dave Stewart. j The Athletics gained a compensatory first-round pick in 1997 from the Baltimore Orioles as compensation for losing free agent Mike Bordick. k The Athletics gained a supplemental first-round pick in 1997 for losing free agent Mike Bordick. l The Athletics gained a supplemental first-round pick in 1997 for losing free agent Mike Bordick. m The Athletics lost their first-round pick in 2000 to the Los Angeles Angels of Anaheim as compensation for signing free agent Mike Magnante. n The Athletics gained a compensatory first-round pick in 2001 from the New York Mets as compensation for losing free agent Kevin Appier. o The Athletics gained a supplemental first-round pick in 2001 for losing free agent Kevin Appier. 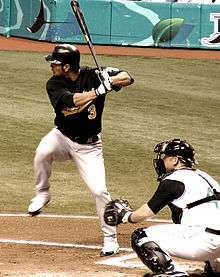 p The Athletics gained a compensatory first-round pick in 2002 from the Boston Red Sox as compensation for losing free agent Johnny Damon. q The Athletics gained a compensatory first-round pick in 2002 from the New York Yankees as compensation for losing free agent Jason Giambi. r The Athletics gained a compensatory first-round pick in 2002 from the St. Louis Cardinals as compensation for losing free agent Jason Isringhausen. s The Athletics gained a supplemental first-round pick in 2002 for losing free agent Jason Giambi. t The Athletics gained a supplemental first-round pick in 2002 for losing free agent Jason Isringhausen. u The Athletics gained a supplemental first-round pick in 2002 for losing free agent Johnny Damon. v The Athletics gained a compensatory first-round pick in 2003 from the San Francisco Giants as compensation for losing free agent Ray Durham. w The Athletics gained a supplemental first-round pick in 2003 for losing free agent Ray Durham. x The Athletics gained a compensatory first-round pick in 2004 from the Boston Red Sox as compensation for losing free agent Keith Foulke. y The Athletics gained a supplemental first-round pick in 2004 for losing free agent Keith Foulke. z The Athletics gained a supplemental first-round pick in 2004 for losing free agent Miguel Tejada. aa The Athletics gained a supplemental first-round pick in 2005 for losing free agent Damian Miller. ab The Athletics lost their first-round pick in 2006 to the Washington Nationals as compensation for losing free agent Esteban Loaiza. ac The Athletics gained a supplemental first-round pick in 2007 for losing free agent Frank Thomas. ad The Athletics gained a supplemental first-round pick in 2007 for losing free agent Barry Zito. ae The Athletics gained a supplemental first-round pick in 2007 for losing free agent Josh Willingham. af The Athletics gained a supplemental first-round pick in 2007 for losing free agent David DeJesus. ag The Athletics gained a supplemental first-round pick in 2016 in Competitive Balance Round A. "MLB First Round Draft Picks". ESPN.com. ESPN Internet Ventures. Retrieved February 28, 2011. "Oakland Athletics 1st Round Picks in the MLB June Amateur Draft". Baseball-Reference.com. Sports Reference LLC. Retrieved February 28, 2011. 1 2 "First-Year Player Draft Rules". MLB.com. Major League Baseball. Retrieved February 28, 2011. 1 2 McCalvy, Adam (December 1, 2008). "Brewers offer three arbitration". Brewers.MLB.com. Milwaukee Brewers. Retrieved February 28, 2011. 1 2 3 4 5 6 7 8 9 "Amateur Draft: Oakland Athletics 1st Round Picks in the MLB June Amateur Draft". Baseball-Reference.com. Sports Reference LLC. Retrieved February 28, 2011. ↑ Campbell, Morgan (February 16, 2010). "Cuba facing big-league crisis; The exodus of star players to the majors could spell trouble for the game's future in socialist country". The Toronto Star. 1 2 "First-Year Player Draft: Straight to the Majors". MLB.com. Major League Baseball. Retrieved March 2, 2011. ↑ "Ariel Prieto Statistics and History". Baseball-Reference.com. Sports Reference LLC. Retrieved February 28, 2011. 1 2 3 "Reggie Jackson Statistics and History". Baseball-Reference.com. Sports Reference LLC. Retrieved February 28, 2011. 1 2 3 "Mark McGwire Statistics and History". Baseball-Reference.com. Sports Reference LLC. Retrieved February 28, 2011. 1 2 "Walt Weiss Statistics and History". Baseball-Reference.com. Sports Reference LLC. Retrieved February 28, 2011. ↑ "Ben Grieve Statistics and History". Baseball-Reference.com. Sports Reference LLC. Retrieved February 28, 2011. ↑ "Huston Street Statistics and History". Baseball-Reference.com. Sports Reference LLC. Retrieved February 28, 2011. ↑ "Barry Zito Statistics and History". Baseball-Reference.com. Sports Reference LLC. Retrieved February 28, 2011. ↑ "Gwynn, Ripken elected to Hall of Fame". ESPN.com. ESPN Internet Ventures. January 10, 2007. Retrieved February 28, 2011. ↑ Newman, Mark (January 11, 2010). "Hall of Fame voters weigh in on McGwire". MLB.com. Major League Baseball. Retrieved February 28, 2011. ↑ Leach, Matthrew (January 11, 2010). "McGwire opens up about steroid use". MLB.com. Major League Baseball. Retrieved February 28, 2011. 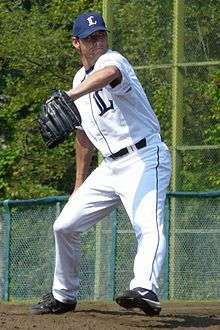 ↑ "Amateur Draft: First overall picks in the MLB June Amateur Draft". Baseball-Reference.com. Sports Reference LLC. Retrieved February 28, 2011. ↑ "First-Year Player Draft Draft Report: 1960s". MLB.com. Major League Baseball. Retrieved February 28, 2011. ↑ "First-Year Player Draft Draft Report: 1970s". MLB.com. Major League Baseball. Retrieved February 28, 2011. ↑ "First-Year Player Draft FAQ". MLB.com. Major League Baseball. Retrieved February 28, 2011. 1 2 "MLB, MLBPA reach five-year labor accord". MLB.com. Major League Baseball Players Association. October 24, 2006. Retrieved February 28, 2011. ↑ "Eric Chavez Statistics and History". Baseball-Reference.com. Sports Reference LLC. Retrieved February 28, 2011. ↑ "1st Round of the 1965 June Draft". Baseball-Reference.com. Sports Reference LLC. Retrieved February 28, 2011. ↑ "1st Round of the 1966 June Draft". Baseball-Reference.com. Sports Reference LLC. Retrieved February 28, 2011. ↑ "1st Round of the 1967 June Draft". Baseball-Reference.com. Sports Reference LLC. Retrieved February 28, 2011. ↑ "1st Round of the 1968 June Draft". Baseball-Reference.com. Sports Reference LLC. Retrieved February 28, 2011. ↑ "1st Round of the 1969 June Draft". Baseball-Reference.com. Sports Reference LLC. Retrieved February 28, 2011. ↑ "1st Round of the 1970 June Draft". Baseball-Reference.com. Sports Reference LLC. Retrieved February 28, 2011. ↑ "1st Round of the 1971 June Draft". Baseball-Reference.com. Sports Reference LLC. Retrieved February 28, 2011. ↑ "1st Round of the 1972 June Draft". Baseball-Reference.com. Sports Reference LLC. Retrieved February 28, 2011. ↑ "1st Round of the 1973 June Draft". Baseball-Reference.com. Sports Reference LLC. Retrieved February 28, 2011. ↑ "1st Round of the 1974 June Draft". Baseball-Reference.com. Sports Reference LLC. Retrieved February 28, 2011. ↑ "1st Round of the 1975 June Draft". Baseball-Reference.com. Sports Reference LLC. Retrieved February 28, 2011. ↑ "1st Round of the 1976 June Draft". Baseball-Reference.com. Sports Reference LLC. Retrieved February 28, 2011. ↑ "1st Round of the 1977 June Draft". Baseball-Reference.com. Sports Reference LLC. Retrieved February 28, 2011. 1 2 3 "1st Round of the 1978 June Draft". Baseball-Reference.com. Sports Reference LLC. Retrieved February 28, 2011. 1 2 3 "1st Round of the 1979 June Draft". Baseball-Reference.com. Sports Reference LLC. Retrieved February 28, 2011. ↑ "1st Round of the 1980 June Draft". Baseball-Reference.com. Sports Reference LLC. Retrieved February 28, 2011. ↑ "1st Round of the 1981 June Draft". Baseball-Reference.com. Sports Reference LLC. Retrieved February 28, 2011. ↑ "1st Round of the 1983 June Draft". Baseball-Reference.com. Sports Reference LLC. Retrieved February 28, 2011. ↑ "1st Round of the 1984 June Draft". Baseball-Reference.com. Sports Reference LLC. Retrieved February 28, 2011. ↑ "1st Round of the 1985 June Draft". Baseball-Reference.com. Sports Reference LLC. Retrieved February 28, 2011. ↑ "1st Round of the 1986 June Draft". Baseball-Reference.com. Sports Reference LLC. Retrieved February 28, 2011. ↑ "1st Round of the 1987 June Draft". Baseball-Reference.com. Sports Reference LLC. Retrieved February 28, 2011. ↑ "1st Round of the 1988 June Draft". Baseball-Reference.com. Sports Reference LLC. Retrieved February 28, 2011. 1 2 3 4 5 6 7 "1st Round of the 1990 June Draft". Baseball-Reference.com. Sports Reference LLC. Retrieved February 28, 2011. 1 2 3 "1st Round of the 1991 June Draft". Baseball-Reference.com. Sports Reference LLC. Retrieved February 28, 2011. ↑ "1st Round of the 1992 June Draft". Baseball-Reference.com. Sports Reference LLC. Retrieved February 28, 2011. 1 2 3 "1st Round of the 1993 June Draft". Baseball-Reference.com. Sports Reference LLC. Retrieved February 28, 2011. ↑ "1st Round of the 1994 June Draft". Baseball-Reference.com. Sports Reference LLC. Retrieved February 28, 2011. 1 2 "1st Round of the 1995 June Draft". Baseball-Reference.com. Sports Reference LLC. Retrieved February 28, 2011. 1 2 3 4 5 6 7 "1st Round of the 1997 June Draft". Baseball-Reference.com. Sports Reference LLC. Retrieved February 28, 2011. ↑ "1st Round of the 1998 June Draft". Baseball-Reference.com. Sports Reference LLC. Retrieved February 28, 2011. ↑ "1st Round of the 1999 June Draft". Baseball-Reference.com. Sports Reference LLC. Retrieved February 28, 2011. 1 2 3 4 5 "1st Round of the 2001 June Draft". Baseball-Reference.com. Sports Reference LLC. Retrieved February 28, 2011. 1 2 3 4 5 6 7 8 9 10 11 12 13 "1st Round of the 2002 June Draft". Baseball-Reference.com. Sports Reference LLC. Retrieved February 28, 2011. 1 2 3 4 5 "1st Round of the 2003 June Draft". Baseball-Reference.com. Sports Reference LLC. Retrieved February 28, 2011. 1 2 3 4 5 6 7 "1st Round of the 2004 June Draft". Baseball-Reference.com. Sports Reference LLC. Retrieved February 28, 2011. 1 2 3 "1st Round of the 2005 June Draft". Baseball-Reference.com. Sports Reference LLC. Retrieved February 28, 2011. 1 2 3 4 5 6 7 "1st Round of the 2007 June Draft". Baseball-Reference.com. Sports Reference LLC. Retrieved February 28, 2011. ↑ "1st Round of the 2008 June Draft". Baseball-Reference.com. Sports Reference LLC. Retrieved February 28, 2011. ↑ "1st Round of the 2009 June Draft". Baseball-Reference.com. Sports Reference LLC. Retrieved February 28, 2011. ↑ "1st Round of the 2010 June Draft". Baseball-Reference.com. Sports Reference LLC. Retrieved February 28, 2011. ↑ "1st Round of the 2011 June Draft". Baseball-Reference.com. Sports Reference LLC. Retrieved June 7, 2011. 1 2 3 "1st Round of the 2012 June Draft". Baseball-Reference.com. Sports Reference LLC. Retrieved June 7, 2012. ↑ "1st Round of the 2013 June Draft". Baseball-Reference.com. Sports Reference LLC. Retrieved June 5, 2013. ↑ "1st Round of the 2014 June Draft". Baseball-Reference.com. Sports Reference LLC. Retrieved September 21, 2014. ↑ "1st Round of the 2015 June Draft". Baseball-Reference.com. Sports Reference LLC. Retrieved June 13, 2015. 1 2 3 "1st Round of the 2016 June Draft". Baseball-Reference.com. Sports Reference LLC. Retrieved June 29, 2016. ↑ "1st Round of the 1982 June Draft". Baseball-Reference.com. Sports Reference LLC. Retrieved February 28, 2011. ↑ "1st Round of the 1989 June Draft". Baseball-Reference.com. Sports Reference LLC. Retrieved February 28, 2011. ↑ "1st Round of the 2000 June Draft". Baseball-Reference.com. Sports Reference LLC. Retrieved February 28, 2011. ↑ "1st Round of the 2006 June Draft". Baseball-Reference.com. Sports Reference LLC. Retrieved February 28, 2011.